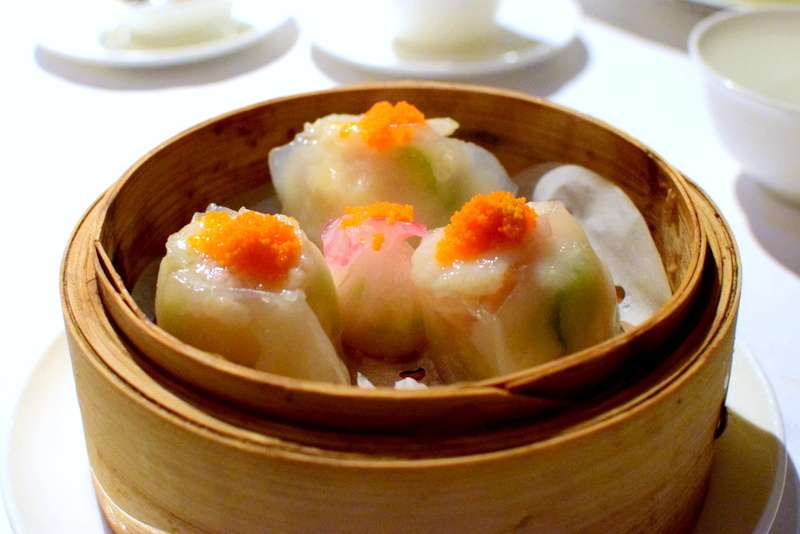 Hong Kong Michelin – Simply foodolicious! おいしい! 好吃! 맛있는! délicieux! delicioso! 好食! The moment we were seated, not exactly the harbour view but actually the impressive cutlery set was the most captivating item at Yan Toh Heen 欣圖軒. 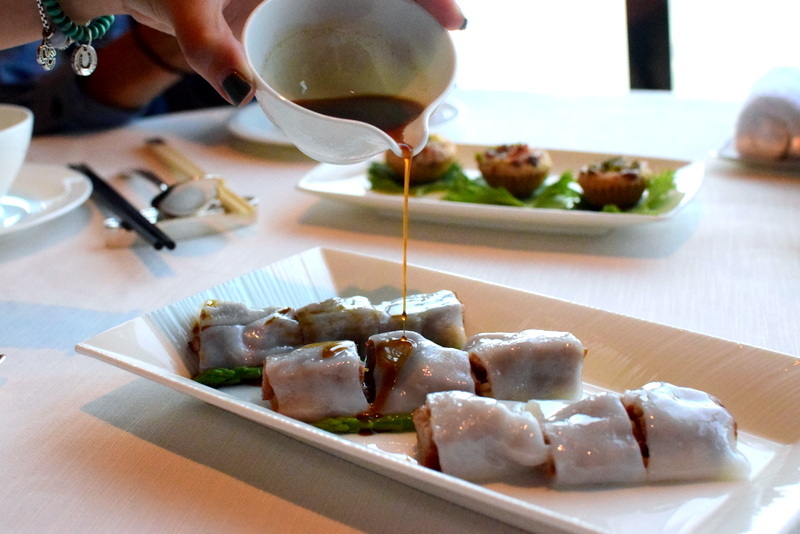 Largely made from or embellished with the classy Jade, it seems to have set the standard already for this refined Cantonese restaurant, not mentioning its recent upgrade from a star to two. 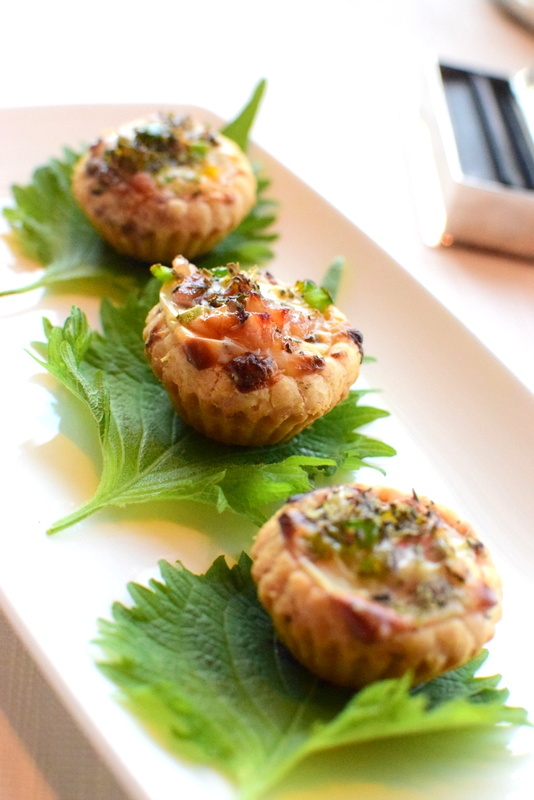 Lets just start off with what that impressed us the most first – this dim sum platter trio that is overflowing with so many congruent elements. And my favourites go to the steamed scallop and lobster dumplings that are both prepared to the perfect bouncy consistency, exuding a lasting natural sweetness from within, all complemented beautifully by the clever use of the lightly scented black truffles and bird’s nest! HKD $168. 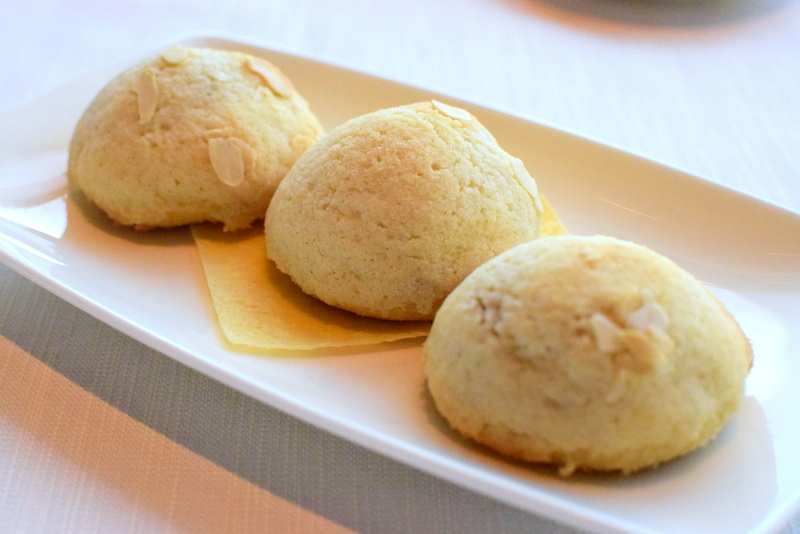 Tin Lung Heen 天龍軒 – 2nd Visit to this Opulent restaurant! 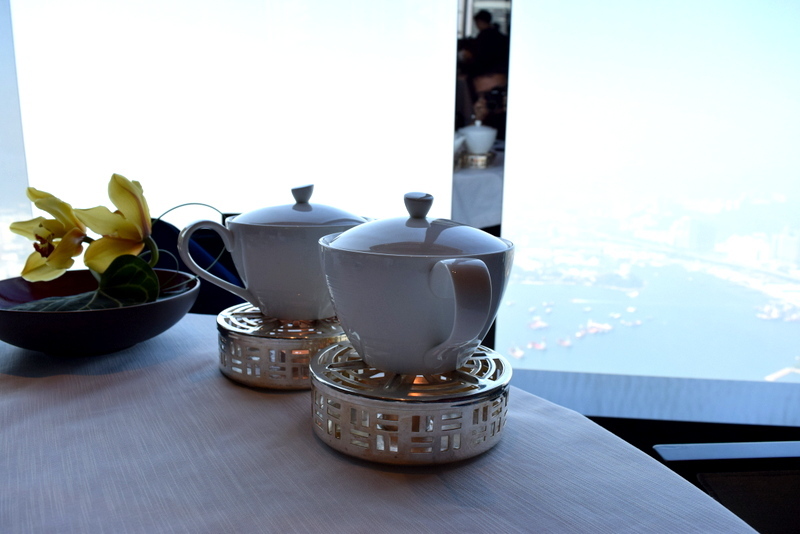 My second time to the lavish Tin Lung Heen 天龍軒 (that is literally a dragon soaring above the clouds on the 102nd storey) and dim sum was so memorable that we repeated all the dishes from the first visit! So, click here if you would like to have a more detailed review. In the meantime, just enjoy the salivating photos taken by the better camera! Shop 4D, Miramar Shopping Centre, 132 Nathan Road near Tsim Sha Tsui MTR Having been recognised as a three Michelin starred restaurant few years back alongside Lung King Heen 龍景軒, Sun Tung Lok is literally one of the two Cantonese restaurants that has ever been awarded such a prestigious accolade. Despite only retaining two of the stars now, in my opinion this restaurant is unique in its mega serving portions that do not have its quality compromised. As we had 4 meals a day, this was really just our teabreak and so we didn’t binge at this restaurant. 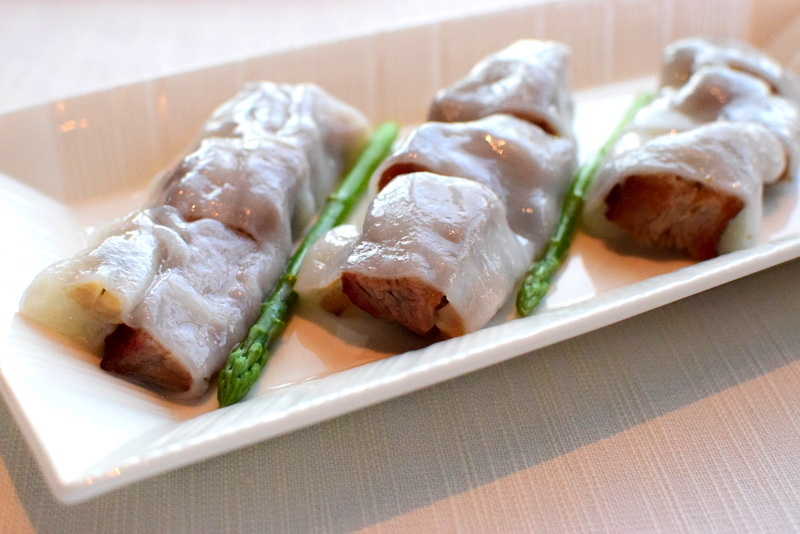 The interesting Zha Leung was ordered that is stuffed tightly with lots of fragrantly stir fried radish while the fried dough still has its super addictive crispiness retained! I highly recommend this seemingly common dim sum as it’s apparently prepared differently over here already with the radish! 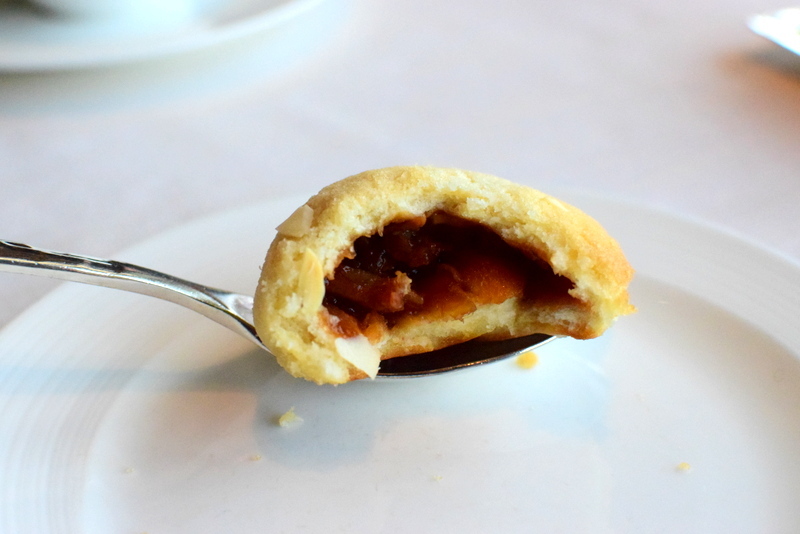 And be prepared to be in for a surprise as every piece is half the size of your fist (That is almost like for every other dim sum)! And the Scallop dumpling and Har Gao were spot on as well as they were filled with substantial amount of mashed prawns and meat. As it is an afternoon tea, a ‘three tier’ hearty dessert platter definitely befits the meal. 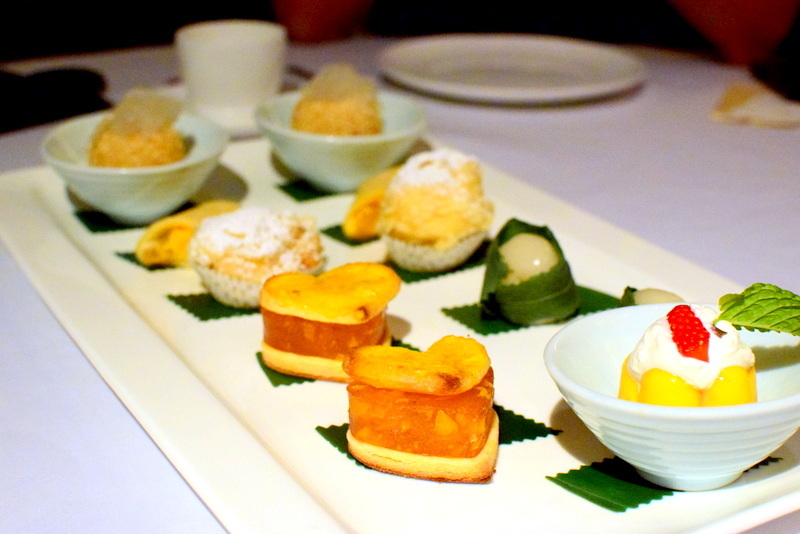 Some delicious items are the Pineapple tart, Mango glutinous roll, mango pudding. 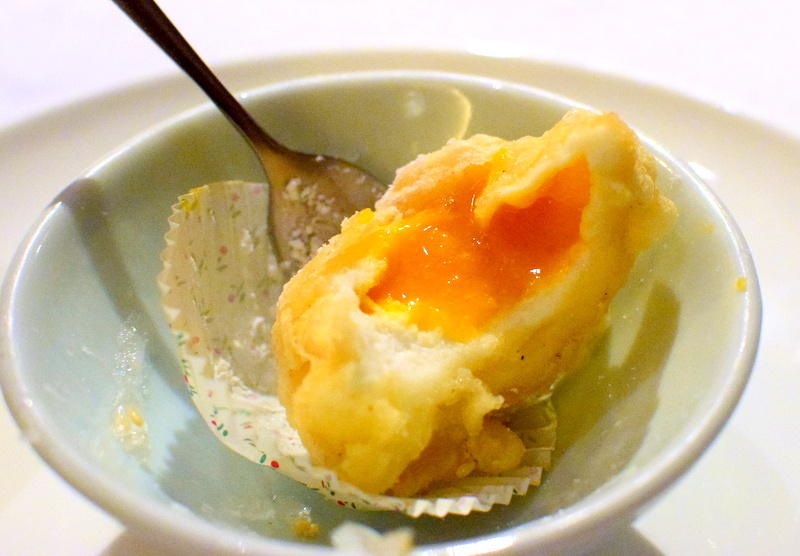 My favourite of all is the Lao Sa Manju or the runny salted egg yolk bun that is redolent of the consistency of a chewy mochi which is well encapsulated in a well-fried crispy batter. This dessert platter is really highly recommended if you are hoping for a good variety yet spot on desserts after the heavy mains. 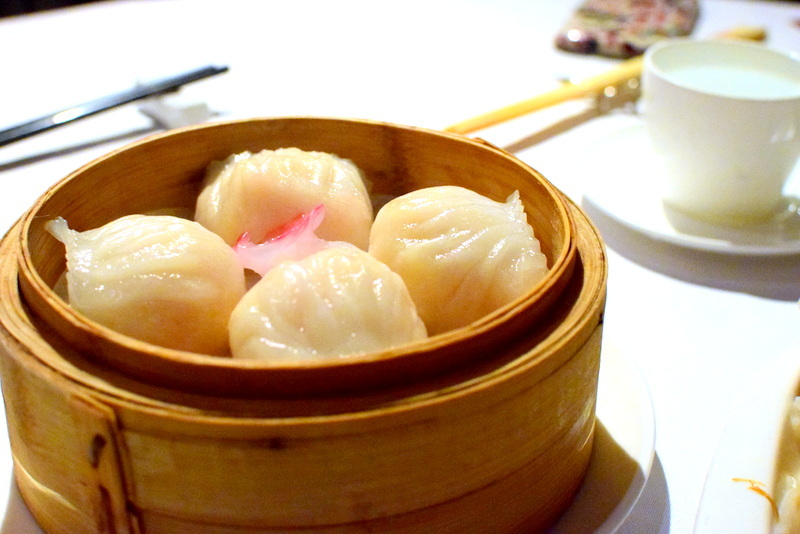 Although I have already forgotten the prices of these dim sum or dessert, it was registered as an affordable Michelin restaurant that comes in hearty portions without the skyrocketing prices. 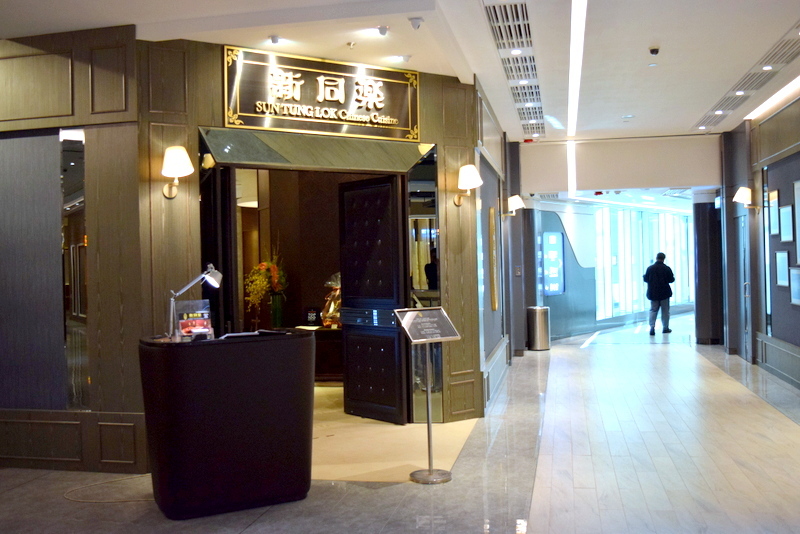 Thus, it would be a Michelin place that is still worth taking your time and tummy out of the precious few days in HK (that is if you are going for a weekend trip). 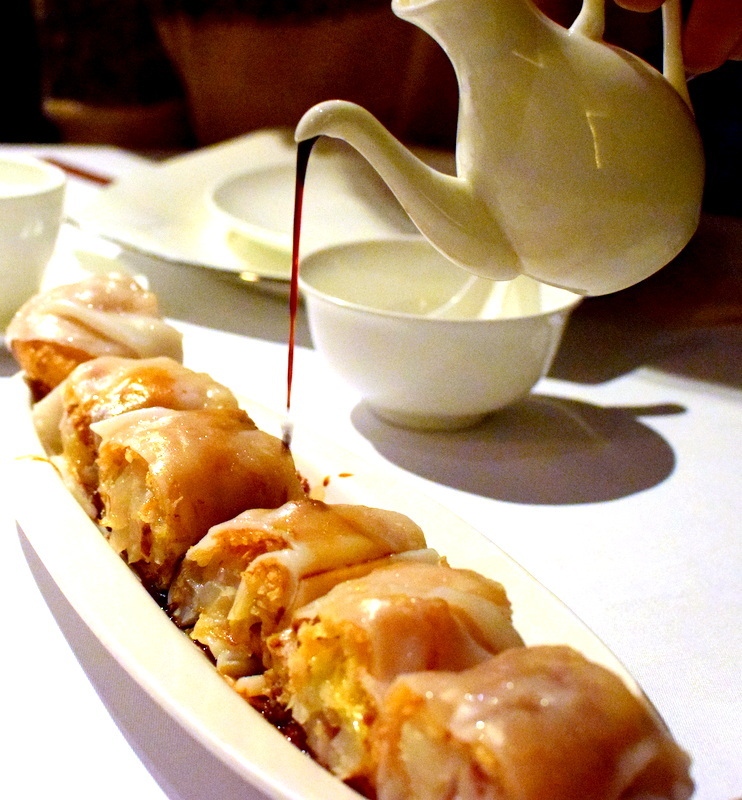 But I would reckon that it still isn’t as comparable to the exceptional culinary finesse at Lung King Heen. Zhan Zai Ji 沾仔記 – One of the biggest wanton balls I have seen! 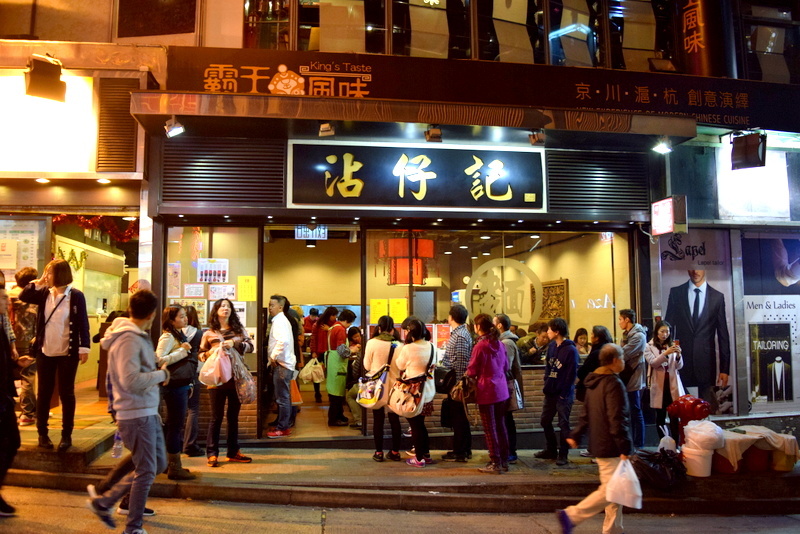 Located in the vicinity of 一樂燒鵝* (that is literally just down the road), 沾仔記 is a wanton noodle specialty restaurant that has been continuously in the bibik gourmand section of the Michelin guide for many years! 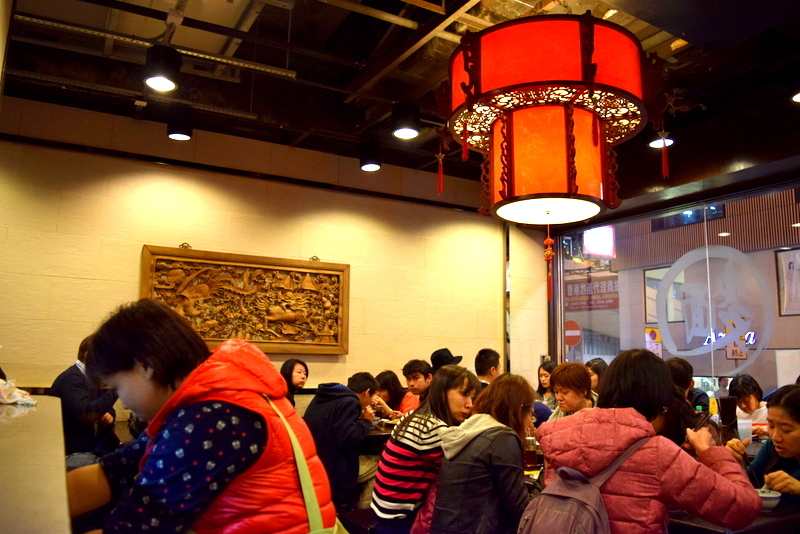 There are of course many other wanton noodle restaurants with *** all around HK such as Ho Hung Kee or Mak’s noodles, but we specially chose Zhan Zai Ji as it’s the preferred choice among the local friends, especially over Mak’s which is known as a tourist trap as it only serves a meager bowl for about HKD $40. Well, just to deviate slightly, if you have remembered my post on the inconsistencies in Ho Hung Kee, they indeed lost their only star for a while before regaining it back this year again.